We have set out a buying guide here for you – things to look for, consider and avoid. While circumstances and needs vary from coop to coop, and person to person, there are some basic things you need to look for. Not all coops will have everything you want but remember, chickens are fairly simple creatures. All your chickens need is a dry, draft and wind free house, food, water, some space and safety to keep them happy and thriving. The happier and safer your chickens feel the better they will produce for you. Not so pretty but well built chicken coop. Advertising companies can be overenthusiastic or overly optimistic about certain products – chicken coops are no exception. 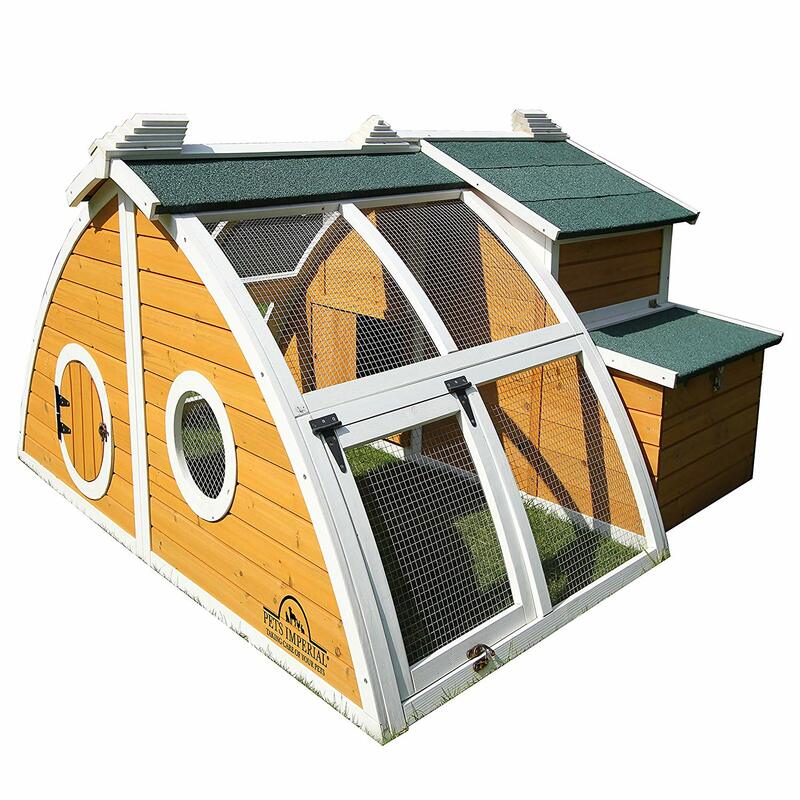 Everyone wants you to think you are getting the best when purchasing from them, when it comes to chicken coops, quality is easily measured by material dimensions and type of materials used. 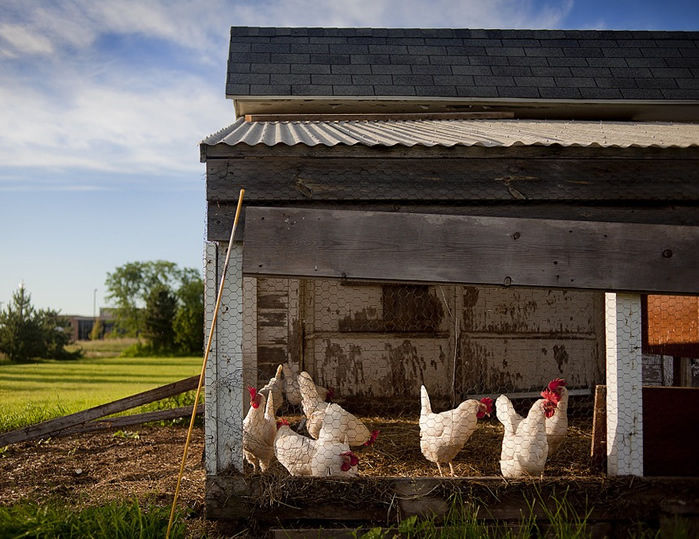 The guidelines for chicken coops are not standardized in any meaningful way, so they can make great claims in their descriptions and pictures, but unfortunately not always deliver. I have so many experiences of trying to assemble a poorly made coop or related product just to realize that with freezing and thawing, heating and cooling, it would not last the year. Is the chicken coop kit all inclusive? 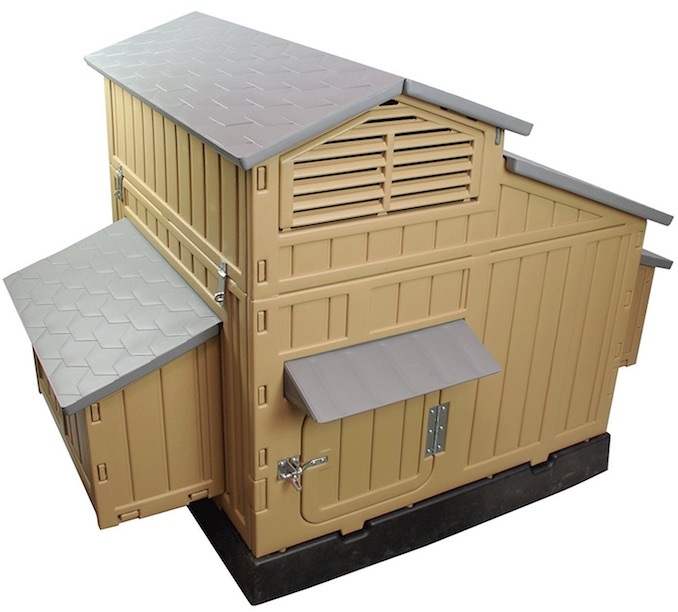 Some kits come with everything; others need things like roof shingles or hardware. It’s not a big thing, but you will need to know so you can buy what else you might need. Point of origin. China has flooded the market with cheap, flimsy coops, so the buyer does need to beware. If you can, check out the floor model in the store. Is it well made, how good is the workmanship, is the hardware appropriate for outside use, how flimsy is it? With that being said, not everyone can hire a builder or build their own, which usually is more expensive than ordering a kit in the first place. I have provided a few hand picked selections that can be ordered as kits below that I would consider buying if I were looking for a kitted option. 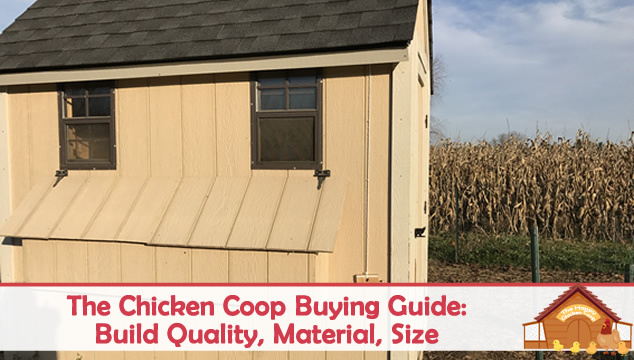 The size of coop you need will largely depend on the size of your chickens. Bantams will take up less space than large fowl obviously, so if you have a very small yard footprint you need to think carefully about what you get. The beauty of bantam birds is that you can build height into your coop too since they like to fly. The majority of long time, responsible chicken folks, authors and welfare experts state that each bird should have a minimum of 4 sq.ft per bird if they are allowed to free range. If they are completely confined they will need 10 sq.ft per bird. Large fowl require 4 sq.ft. of space each in the coop, with an additional 6-8 sq.ft. in the run. Bantams require 2 sq.ft of coop space and 4 sq.ft in a run. Birds that are going to be confined to a coop and run for safety or convenience will require the most space. If your birds are allowed to roam around the yard you may be able to make the space slightly ‘tighter’ without too much trouble because it will essentially be their sleeping quarters, not their ranging space. If they are allowed to free range for a couple of hours daily, this should keep them happy and busy and less likely to be naughty. For the past several years I have had no bullying issues or concerns because of their free ranging habits, which takes their complete attention. There is a vast range of prices for coops. In general, the better made, more suited items will cost the most. If you can, it is better to spend a little more on something that is well made, suitable and will last a long time. Manufactured coops from companies such www.flytesofancy.co.uk or www.carolinacoops.com are great quality items that are probably some of the best out there. A local carpenter or perhaps woodworker may be able to make you one cheaper but will likely need a design from you. 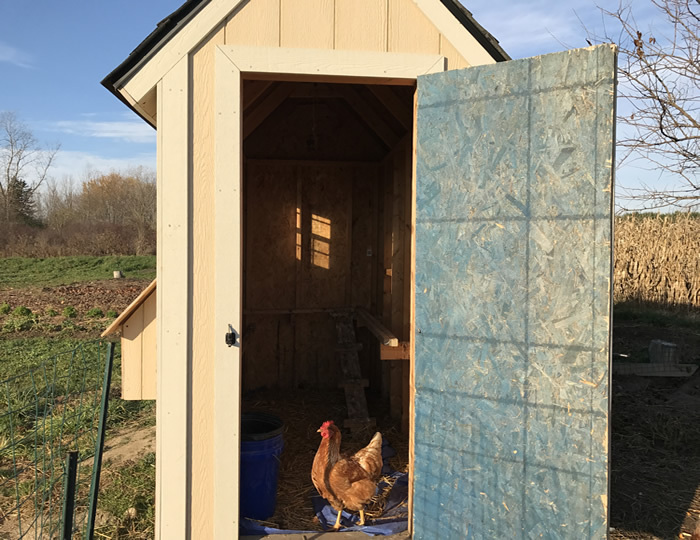 There are several DIY Chicken Coop designs we offer that you can hand off to a carpenter or wood worker if you are not comfortable building one yourself. By all means shop around to keep costs as low as you can, but be aware that cheap coops may come with hidden costs such as poor quality of work, inferior wood or other potential problems. 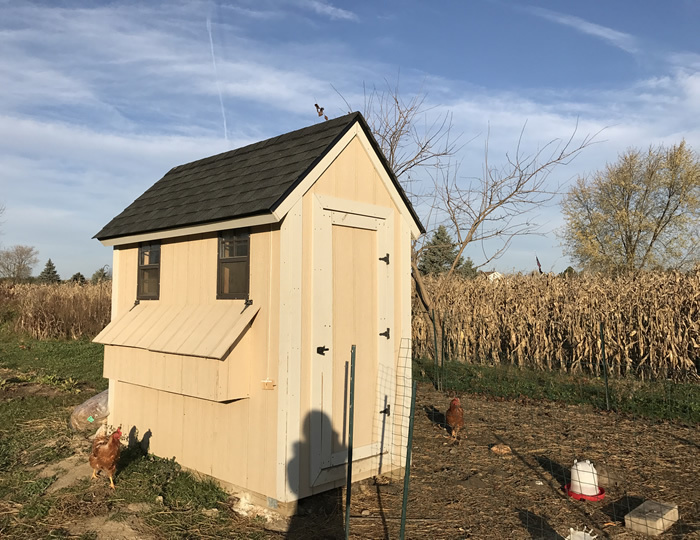 For readers in the United States, craigslist always has a hand full of chicken coop builders that take pride in their craftsmanship, and you can possibly see a demo. If you are going to build your own take into consideration all the hidden costs that are usually not calculated. The little brown window you think would look cute on your little coop? $40. Your hinges and hardware $20. Roofing material $75. Quickly, without knowing it, you will possibly be the same price of a kit minus the labor. 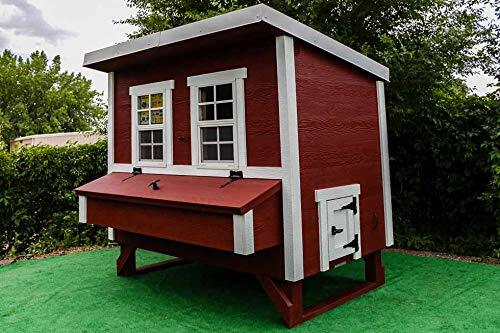 That is not to discourage anyone from making their own coop, I build all of mine to my preference, but if budget is a factor, keep all of that in mind. Ideally you want a coop that either has a non-toxic finish on the wood or is unpainted. Coops made in China and other Far Eastern venues can be finished in toxic chemical preservatives that are banned in the US or UK. Typically regulations does a good shop keeping these out of both countries but always take caution. The preservative fumes can leach out from the wood and the chickens can inhale those fumes on an almost continuous basis or they can peck at the wood and ingest small amounts of toxins. You will need to ask about any finishes applied to the wood, usually nothing is stated on the packaging. USA Standard treated lumber for ground contact is OK and recommended for any moisture barrier or anything in contact with the environment. On top of that you can put standard pine or other materials. Most kits are easy enough to put together for a person with average DIY skills. Ensure that the instructions are with the kit and are easily understood. You might need someone to help you with the putting together part so be sure you have a friend available or sometimes a ‘big box’ store will put the item together for you. As we have already mentioned, make sure you have everything you need before you start otherwise you are going to be frustrated – not a good start to your venture! 1) Wood – it is almost always the top choice for a coop because of its perceived strength and durability. However if you live in an area where red mite is a problem wood coops can be an infestation nightmare. 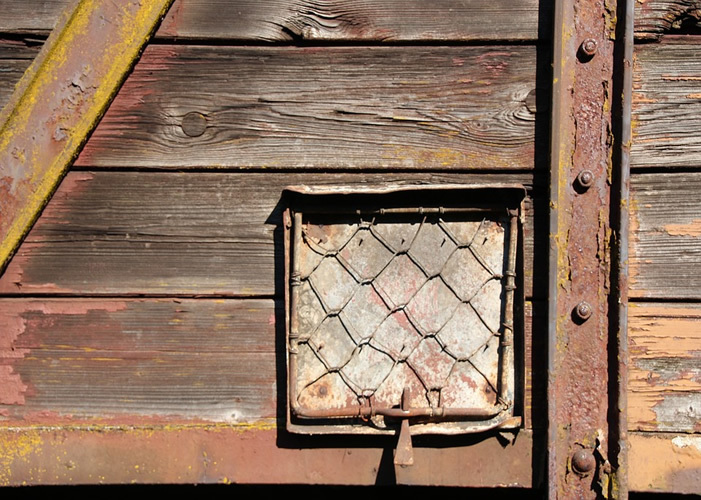 Lastly, if not treated, wood will rot and mold in a moist and wet environment. 2) Plastic – plastic coops may be a good option and are growing rapidly in popularity. They are lightweight, easy to clean and disinfect and durable. Reviews in general are very good and they seem to be the easiest coop to keep red mites out of. Being slightly less weighty than wood, keep in mind that strong winds might possibly be a problem. This can be solved with anchor points. Remember, there will come a day when you will want to move your chicken coop. Even if you think today you will never move it, trust me, you will. I have had some very interesting situations where I had to come up with a contraption to move a several hundred pound chicken coop. It was doable but with some damage and extra labor. I may try a plastic coop in the near future myself. 3) Metal – metal is rarely used for small coops. It gets too hot in summer and too cold in winter. 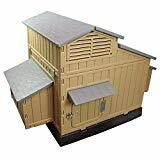 Larger chicken houses are made of metal, but for small backyard purposes they aren’t very practical. Now, I think it is important to mention, I do use metal roofing with plywood sheeting under it. Metal is easy to install, lightweight, and less maintenance than classic asphalt shingles. 4) Composite – composite materials such as a wood/plastic mix are becoming popular. They are usually rot, mold, and pest proof. These too are very durable and strong but they are very heavy. I use about 20% composite on most of my coop builds where I believe there will be lots of water or ground contact so I don’t have to deal with mold. For example, the exterior trim I use on all my coop builds is Miratec. 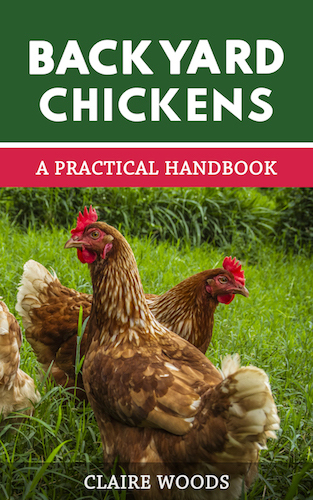 Your chicken coop quality depends on several factors we went over, but the most important is this. Do it right the first time. I lost count of how many times we would make a build and go cheap on material exposed to the elements, or make a nesting box a little smaller because of no more material. Every single time I did this I caught myself going back and fixing it, putting more money, time, and effort than if I did it right the first time. 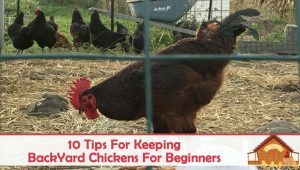 If you are new to chickens, this is probably something you haven’t really thought about, but you should. It is important that you can easily access all parts of the coop for thorough cleaning and checking. The point where you can access the coop should be big enough for you to move in relative comfort. Believe me when I say a pokey, hard to clean coop is a real nuisance and not fun to clean out. This just gets exponentially worse if you have mites or an infestation of sorts and a deep cleaning is required. Make sure you can fit in all corners of your coop. Nest boxes will ideally be accessible from outside the coop, but it’s not a deal breaker – as long as they are easily reached. Perhaps the most important add-on of them all is a secure perimeter. Runs that enclose the coop need to be made of good quality wood and hardware mesh (not chicken wire). Many coops have the availability of added runs, so check around and see what’s available to you. Although you may feel that you don’t have any predators in your area, you may be surprised to know that foxes, coyotes, raccoons and other potential predators have made cities their home and are very adept at navigating without being seen. A predator you may not think about could be your very own Fluffy or Fido. Chicks are small, squeaky toys to many animals so be cautious around your pets. Getting a chicken coop built by a professional carpenter will cost a pretty penny and may not fit everyones budget. Building your own you will need special carpentry tools and a skillset for that type of work and it may not be for everyone. I did some research and chose a handful of chicken coops that can be purchased that I would consider for myself. We emphasize that you read reviews thoroughly and be ruthless in your standards. The coop may look beautiful, but it needs to be practical more than anything. That’s a lot of information to digest! 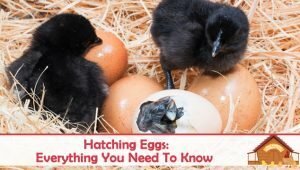 It can become overwhelming but if you know someone who has chicks – ask them their advice or opinion. I don’t know any chicken folk who don’t love to talk about their birds and their care, they will be happy to help you out. Be generous with the amount of space you can give your girls, they will benefit from it in the long run. Also, if raising chickens becomes your thing, you will realize it quickly and want to expand. As an example – there is a small, popular coop selling well on several websites currently. 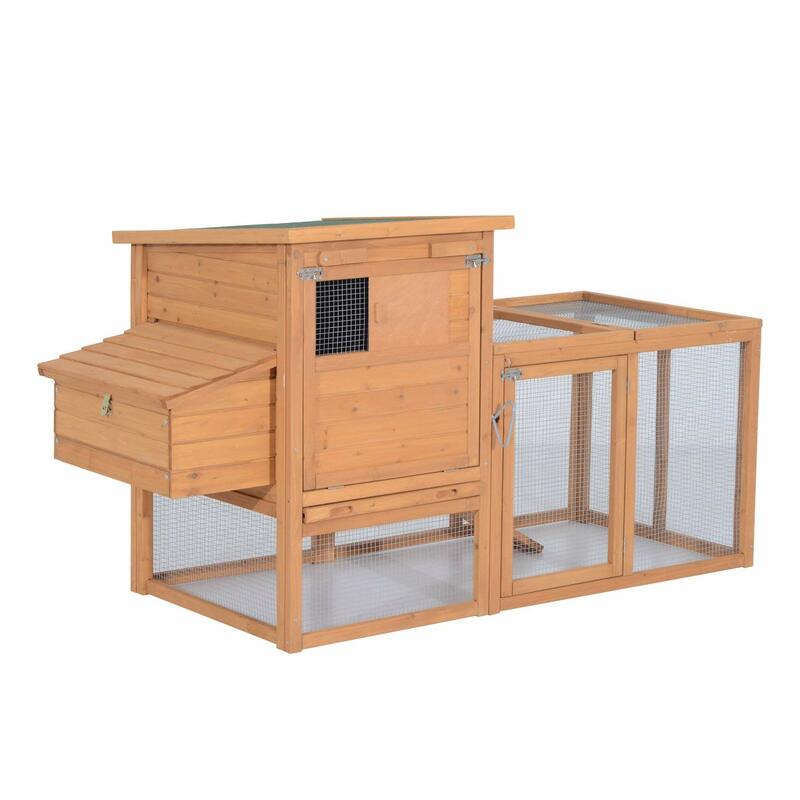 It is advertised as suitable for 4 hens – remember our formula 4 sq.ft per bird? Take the dimensions of width and depth and multiply – 31×68 inches = 2108 inches. 2108 inches = 14.6 sq.ft total – almost 2 feet under the recommended level as per experts. That 2 feet might seem inconsequential, but when bad weather, boredom and winter set in for the next few months, you will find your ‘oh so civilized’ ladies pecking each others’ combs or pulling out feathers! It can even escalate to a type of extreme bullying where one hen may be singled out to be picked on mercilessly unto death. If you have the luxury of being able to see what you are buying assembled in the store it can really help you get a sense of how it will play for you in your yard. Once home, where you place your coop will also be a factor to consider. If you can place the coop in a sheltered area away from high winds and blowing weather so much the better. Placing a coop in the perfect spot is difficult, but, remember that in the US most winds travel from east to west. So orient your coop to take advantage of the ventilation. Make sure your coop windows face south to catch the sun and warmth through the day. Trees can provide shade for your ladies in summer, but remove any debris that could hide predators. Our advice to you – read, read and read some more! All that preparation will save you work and problems down the line and you will be able to sit and watch your girls hard at work in their pen while you sip your morning coffee – enjoy! I will be giving a community presentation next week about backyard farming, specifically addressing backyard chickens and egg production. Your article on coop/run space requirements is well done. I am so happy to hear you are benefiting from all the information, we always appreciate people sharing our information as well. It helps us keep going.